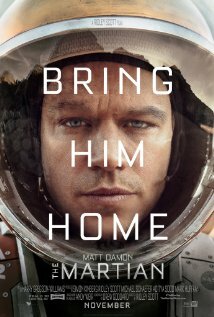 Summary: A successful investment banker struggles after losing his wife in a tragic car crash. With the help of a customer service rep and her young son, he starts to rebuild, beginning with the demolition of the life he once knew. For me as a critic ‘Demolition’ is like a five star explosion. The director, Jean-Marc Vallee, received five stars from me for his last two films – the heart-gripping drama ‘Dallas Buyers Club’ and the visually spectacular ‘Wild’, while leading man Jake Gyllenhaal has garnished the same scores for his recent films – ‘Prisoners,’ ‘Nightcrawler’ and ‘Southpaw.’ I would be lying if I said I was expecting something brilliant from ‘Demolition’ and this time I was disappointed. ‘Demolition’ is the story of a broken man. To the outside world Davis (Jake Gyllenhaal – ‘Nightcrawler’) is a man who has everything. He has an amazing looking home, a successful career in finance and the perfect marriage to Julia (Heather Lind – ‘Mistress America’). But then when Julia is killed in a car accident he re-accesses his life through a series of letters to a convenience machine company and soon he finds himself wondering whether or not he really loved Julia and also suddenly discovering a need to want to demolish everything. These letters also bring him into contact with the emotionally damaged Karen (Naomi Watts – ‘The Ring’) and her troubled young son, Chris (Judah Lewis – ‘Deliverance Creek’)… something that causes an even big rift between Davis and his father-in-law, Phil (Chris Cooper – ‘American Beauty’). ‘Demolition’ is one of those amazing films were the director really understood what the screenwriter was trying to do and captures the vibe from the page and brings it to the screen in a remarkable way. So many lesser directors would have taken Sipe’s script and tried to make everything painfully obvious to the audience but here Vallee keeps his audience guessing. There are a tonne of questions that need to be asked about the brilliantly written and edgy character of Chris while the will they/won’t they tension between Davis and Karen is ever present without ever becoming clichéd or cheesy. That also leads to a second level of suspense as the audience waits to see what happens with Karen’s ‘boyfriend’ Carl (C.J. Wilson – ‘The Intern’). Sipe’s screenplay also allows the cast to put in some amazing performances that are deserved of any awards that they should pick up. As we saw in ‘Nightcrawler’ and ‘Southpaw’ Jake Gyllenhaal’s performance goes to a whole new level when he is asked to play a character who is falling apart and here Gyllenhaal certainly brings his A-Game. Whether it be a scene where he is mentally breaking down while demolishing his home with a sledgehammer or sharing a touching emotion scene with Judah Lewis… his performance is truly captivating. Follow in Gyllenhaal’s footsteps in Naomi Watts who has sadly been wasted in woeful films like ‘Allegiant’ and ‘Diana’ recently. But here as Watts is given a meatier script and able to play the drug affected Karen she really comes to the fore and reminds audiences just what a fine actress then she really is. Then there is the arrival of Judah Lewis. This young actor seems to relish playing a young character struggling to cope with his sexuality and the fact that his drug addicted mother is not paying enough attention to him. Lewis breezes through even some of the more difficult scenes and he really announces himself as a young actor to watch in the future. 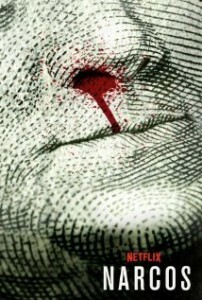 In a cinematic world where bigger is considered better and every film released seems to what to out do it’s predecessor’s special effects it is a real relief to be able to sit down and watch a film like ‘Demolition’ – a film that relies on the fact that it has a brilliant screenplay and actors who are at the top of their game to pull it off. ‘Demolition’ is one of the films of the year and also shows why Jake Gyllenhaal now has to be considered one of the best actors of our generation. Davis Mitchell (Jake Gyllenhaal) is a hot shot financier whose wife is killed in a car crash. He goes into denial and his life goes into melt down and he begins to alienate everyone around him. Including his father-in-law Phil (Chris Cooper), who also happens to be his boss. A minor incident involving a vending machine in the hospital though is the real catalyst for his frustration. He writes complaint letters to the company, which attract the attention of Karen Moreno (Naomi Watts), the sympathetic customer service representative. She finds something about the personal revelations in his letters of complaint that intrigues her. An unlikely relationship slowly develops. But it is his relationship with her troubled delinquent son Chris (newcomer Judah Lewis), who is struggling with his own sexuality and identity, that really starts the healing process. Davis becomes something of a surrogate father figure for the wayward adolescent. 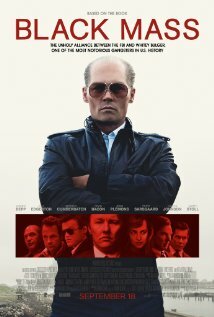 Written by Bryan Sipe (who also penned the recent adaptation of Nicholas Sparks’ The Choice), this is a rather downbeat and unpredictable drama dealing with death, grief, and the process of moving on.Demolition has been directed by French-Canadian filmmaker Jean-Marc Vallee, who directed Matthew McConaughey to an Oscar in Dallas Buyers Club. Demolition is full of some of his trademark stylish flourishes – such as dreamlike shots, slow motion flashbacks and looped images – that give parts of the film a similar surreal quality to his enigmatic Cafe de Flore. Music has also been an important element in Vallee’s films beginning with the coming of age tale CRAZY, and here he has compiled a great soundtrack that mixes older acts like Heart and Free with indie bands like Cave and Half Moon Run, and some classical music. Demolition has been shot by his regular cinematographer Yves Belanger, and there are some crisp and striking images. But this vaguely disappointing tale attempts to explore similar territory to that Vallee essayed in the more successful Wild, starring Reese Witherspoon as a woman trying to find herself through an arduous physical experience. 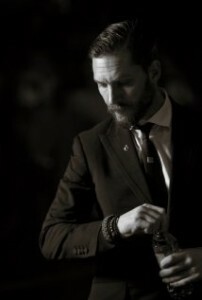 There are solid performances all round, particularly from the charismatic young Lewis who brings a spark of energy to the film that contrasts with Gyllenhaal’s downbeat and quietly compelling reading of his grieving character. The always reliable Gyllenhaal appears in virtually every scene, and he anchors this quirky but ultimately flawed drama, delivering another of his intense, edgy performances as the self destructive and emotionally stunted Davis. Cooper brings his usual stoic, gruff and world weary persona to an underwritten role, while Watts delivers another strong performance as a woman who is also dealing with her own emotional issues. But despite the emotional content and late bursts of sentimentality, Demolition is a film that will not have broad appeal. However, it should do well on the festival circuit and in art house cinemas. Other Subculture Entertainment Demolition reviews: Nil. The Revelation Film Festival runs from July 7-July 17 in Perth. 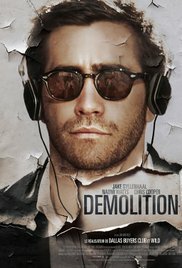 The opening night film is Jean Marc-Vallee’s Demolition, starring Jake Gyllenhaal. There are lots of features and documentaries screening during the festival, many of which are Australian premieres. Greg spoke to festival director Jack Sargeant to find out more. You can listen to or download our 2016 Revelation Film Festival interview right here. With Demolition set for release in Australia we decided it was time to reveal some Demolition interviews.